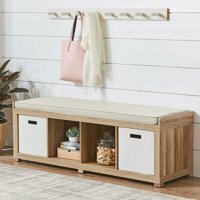 Better Homes and Gardens 4-Cube Organizer Storage Bench for just $59.99 !!! reg price $100 !! HOT Deal for this , Better Homes and Gardens 4-Cube Organizer Storage Bench for just $59.99 !!! reg price $100 !! LEGO City Volcano Explorers Volcano Starter Set for just $5 + FREE in store pickup!! reg price $10!! Boon PIPES Building Bath Toy Set for as low as $7.48 !!! reg $15 !! Hamilton Beach Breakfast Burrito Maker , only $14.97 + FREE in store Pickup!! reg price $40!! Better Homes and Gardens Round Tufted Storage Ottoman with Nailheads for just $79.99 !!! reg price $150 !!! Bissell PowerLifter Pet Rewind Bagless Upright Vacuum Cleaner for $75 !!! reg price $150 ! !